Organist and Benedictine monk Dom Richard Gagné performs a wide range of pieces by various composers on this album, reflecting diverse instrumental groupings. The original works, adapted and transcribed for the organ largely by Gagné himself, appear alongside other works by Biggs, Fox and Duruflé. 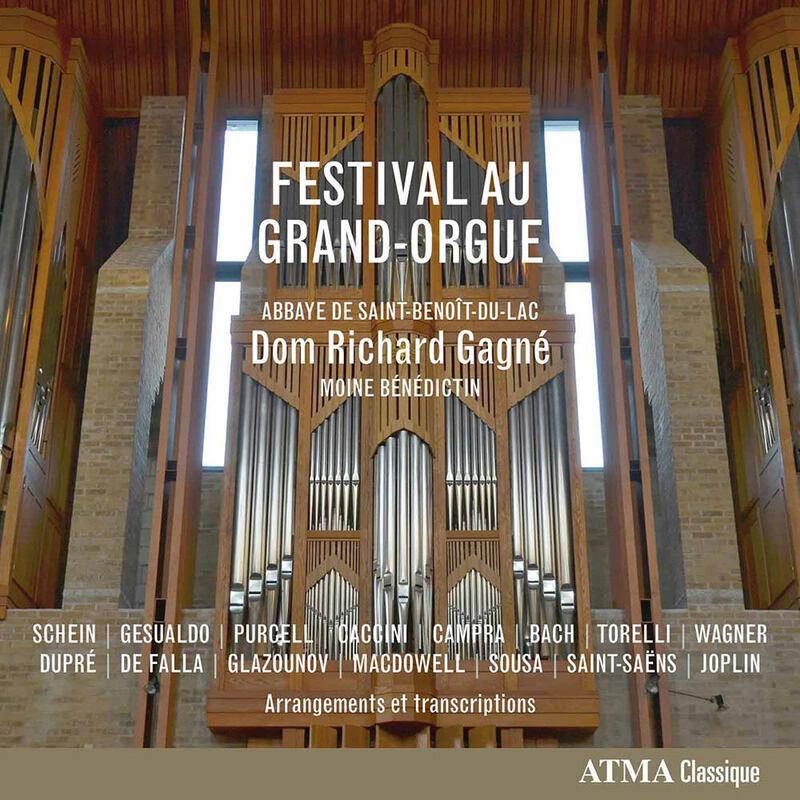 Gagné recorded these works on a Karl Wilhelm organ at the Benedictine monastery of Saint-Benoît-du-Lac Abbey in Québec's Eastern Townships in May 2014. Photos : c Jacques Côté o.s.b.